A Celebration of Jean’s life will be held August 4, 2018 at 2:00pm at the Hast Family Farm, 15251 6100 Road in Montrose. 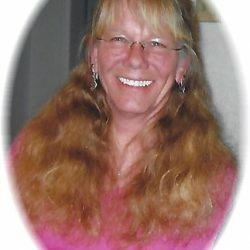 In lieu of flowers, donations may be made in Jean’s memory to the Montrose Animal Shelter, 3383 N Townsend Ave, Montrose, CO 81401. The Animal Shelter requests that checks be written to the City of Montrose. 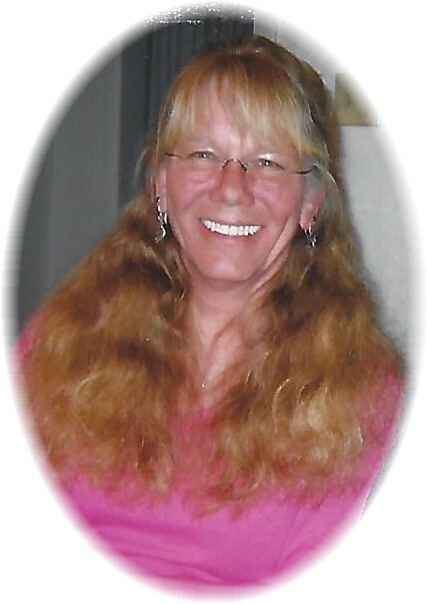 It is with very heavy hearts we announce that Jean Ann Hast Sammons passed away unexpectedly on July 4, 2018 at Montrose Memorial Hospital comforted by loving and caring family and long-time friends. The youngest child of Bernie and Erma Hast, Jean was born in Boulder, Colorado. When she was just a few months old the family sold their dairy farm in Boulder and moved to Montrose. She grew up on the family farm on Spring Creek Mesa where her parents farmed, raised Angus cattle, horses and later llamas. Jean loved riding her horses and had a natural connection with animals. She was a member of Zion Lutheran Church. She attended Oak Grove Elementary School and graduated from Montrose High in 1977. The following year, she graduated from business college in Denver with secretarial and administrative assistant skills and began working for the law firm, Wood, Riss and Hames. While working and living in downtown Denver, Jean enrolled at CU Denver, took classes part-time and graduated with her BA Degree. Jean moved to Atlanta for several years and returned to Montrose in 1995. She began working for Camelot Gardens where she became the Greenhouse Manager and a Master Gardener. Jean enjoyed traveling and took trips to Russia, Mongolia, Spain, Alaska and the Caribbean. Jean married Donald Sammons and they resided in Montrose, loved their little dogs, Trixie and Cricket, and enjoyed motorcycle trips in the area. For the past 23 years, Jean brought color and beauty into the lives of countless people through her custom grown and thoughtfully designed baskets, patio pots, and container gardens. Anyone visiting Camelot Gardens could spot Jean through a tangle of petunias as she tended her plants in the greenhouse. In addition to her horticultural talents, Jean was a gifted teacher; whether or not you knew it was happening, or even wanted it to, you always left a conversation with Jean having learned something new. Jean was a tenacious, extremely bright, hard-working person who quietly stood by her family and friends and consistently supported them. Her dry wit and blunt sense of humor were especially entertaining and will be missed but not as much as her kindness towards others and acceptance of people just as they are. Jean miraculously bounced back from a series of health challenges during recent years and had no plans to give up on life. Jean is survived by her mother-in-law, Virginia Sammons; step-daughter Kristina Olsen (Tylan), granddaughters, Rayanne and Rylee Patterson of Fruita; step-son, Dustin (Jennesse) Sammons and grandchildren, Gia, Eva and Mason of Cedaredge; sister Joan (Bob) Lansdell and nephew Alexander of Dexter, Michigan; brother, Glen Hast of Denver; niece Lei (Mike) Taylor and grandnephew Kenai of New Zealand.